We've created this link on our site to inform you about our privacy practices. We want you to understand the purposes for which we collect personal information, and we want to be sure that we have your consent to continue to collect, use and disclose your personal information for those purposes. Gray Monk Cellars Ltd. of Lake Country, Okanagan Valley, British Columbia, Canada. Personal information on this Site is collected by Gray Monk Cellars Ltd. and certain of its affiliated companies or contract service providers. As a visitor to this Site, you can engage in many activities without providing any personal information. 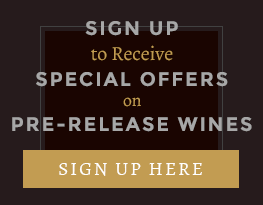 In connection with other activities, such as subscribing to any services offered on the Site, Gray Monk Cellars Ltd. may ask you to provide certain information about yourself by filling out and submitting an online form. It is completely optional for you to engage in these activities. 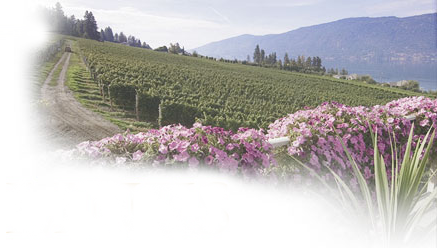 If you elect to engage in these activities, however, Gray Monk Cellars Ltd. may ask that you provide us personal information, such as your first and last name, mailing address (including postal or ZIP code), e-mail address, employer, telephone and fax numbers, images, and other personal information. When you use the Site, Gray Monk Cellars Ltd. or third parties authorized by Gray Monk Cellars Ltd. may also collect certain technical and routing information about your computer to facilitate your use of the Site and its services. For example, we may log environmental variables, such as browser type, operating system, CPU speed, and the Internet Protocol (IP) address of your computer. We use these environmental variables to facilitate and track your use of the Site and its services. Gray Monk Cellars Ltd. also uses such environmental variables to measure traffic patterns on the Site. When you visit this Site, you can browse the Site and access important information without revealing your identity. In order to improve our Site, we use "cookies" to track your visit. A cookie is a small amount of data that is transferred to your browser by a Web server and can only be read by the server that gave it to you. It functions as your identification card, and enables Gray Monk Cellars Ltd. to record your passwords, purchases, and preferences. It cannot be executed as code or deliver viruses. 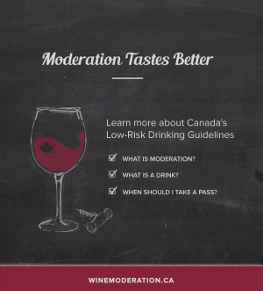 Gray Monk Cellars Ltd. collects your information in order to record and support your participation in the activities you select. As an example, if you enter a contest, information is collected to qualify the entry and contact you regarding the contest or prize awards. Your personal information may also be used to keep you informed about product upgrades, special offers, and other products and services of Gray Monk Cellars Ltd. and selected third parties. Gray Monk Cellars Ltd. may collect information about the use of the Site, such as the types of services used and how many users we receive daily. This information is collected in aggregate form, without identifying any user individually. We may use this aggregate, non-identifying statistical data for statistical analysis, marketing, or similar promotional purposes. 5. Gray Monk Cellars Ltd. may provide your personal information if necessary, in our judgment, to comply with laws or regulations of a governmental or regulatory body or in response to a subpoena, warrant, or order, or to protect the rights of Gray Monk Cellars Ltd. or others. 5. will honour any request you may make for access to your personal information. Please provide your name, address, and/or e-mail address when you contact us. No specific form is required to notify us of changes to your address or privacy preferences; however we may have to contact you if any of your instructions are unclear. Unless you contact us to provide other instructions concerning your personal information, you will be deemed to have, and Gray Monk Cellars Ltd. will assume that you have, consented to the collection, use and disclosure by Gray Monk Cellars Ltd. and its agents of your personal information collected by Gray Monk Cellars Ltd. or its agents from you through your use of this site for the purposes and in the manner described above.